Nour Ammana prepares Oúzi, a Syrian street pastry, in her shop Beroea Box in Market 707 in Toronto. What are you interests or passions? Do you love eating out, or going to the theatre, for example? Or do you feel like trying something you’ve never done before? There may be refugees groups in your community who organize activities which you would enjoy. By taking part in these events, you can learn about another culture through food or art or music. This, as Amir and Noor explained, helps keep these cultures alive. 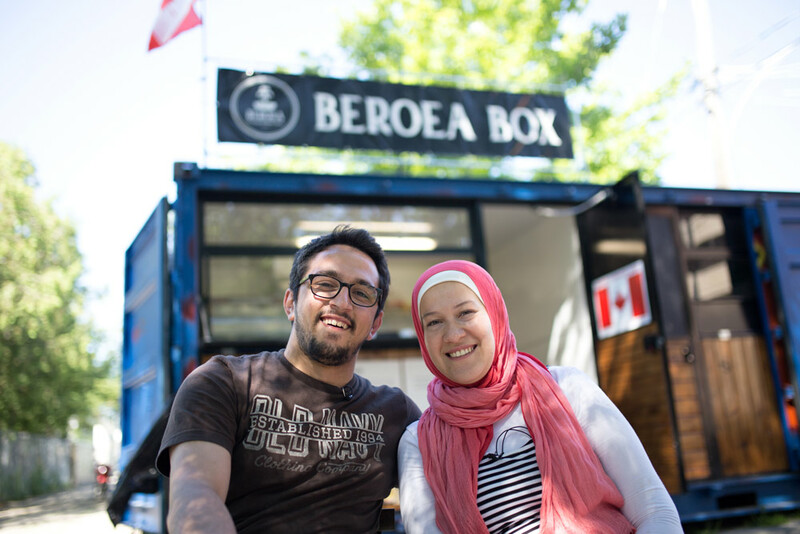 One of the initiatives Amir and Nour have developed since making Canada their new home is a supper club. As well as helping them to make a living and meet local people in their community, it allows them to share a bit of the culture that they were forced to leave behind, and change people’s minds about what life in Syria was like. They hope to make people think of a wide range delicious food in relation to Aleppo, rather than focusing on the destruction that they may have seen on the news. So learn about a different culture, try something new and fill your free time making the most of all the wonderful skills refugees have brought with them. Find out more about our #IWelcome refugees campaign.